Short month – long list of great news! The Quadram Institute is the name of the new centre for food and health research to be located at the heart of the Norwich Research Park, one of Europe’s largest single-site concentrations of research in food, health and environmental sciences. It is to be led by the current Director of the Institute of Food Research, Professor Ian Charles. He opened last year’s Invest in ME conference in London and was very supportive of the idea of a centre of excellence for ME to be within this new Institute. Building of the new £81.6m facility began in February, with an anticipated opening in 2018. This is encouraging news, as our campaign was created to support the proposal by the UK charity Invest in ME (now also known as Invest in ME Research) to establish a Centre of Excellence for ME, based at world-renowned Norwich Research Park. We set out to help raise funds for the biomedical research aimed at developing diagnostic tests and treatments for ME (myalgic encephalomyelitis). The focus of the Invest in ME Research strategy is on the role of infection and the immune system, including autoimmunity, whereby the immune system attacks the body’s own cells or tissues. The research began with the gut, as that is the site of most of the body’s immune system. The foundation study is looking at whether gut hyperpermeability (leaky gut) plays a role in this illness. Meanwhile, clinical trials in Norway, presented and discussed at the annual Invest in ME Conference events, showed promise of rituximab, a drug used in blood cancer therapy, rheumatoid arthritis and some other autoimmune diseases. 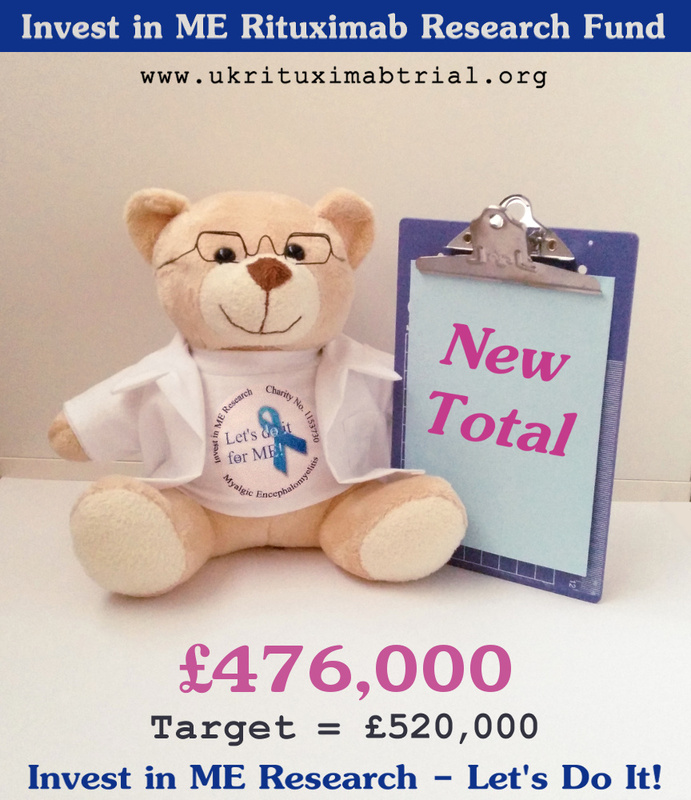 The charity decided to organise a UK clinical trial of rituximab, starting by studying B-cells in ME patients. The first paper from this research was published in February in the journal Clinical & Experimental Immunology. Click here to read more. So February was an exciting month for Invest in ME Centre of Excellence projects. Stacy Hart held another of her fun competitions on our Facebook page to help raise awareness of our cause, but has had a rough start to the year and is not currently posting online, so we miss her Friday column at the Watford Observer. Thinking of you Stacy, and looking forward to having you back online with us soon. Becca Hams & Ali Head ran another successful Secret Valentine. If you missed out .. sshh .. click here to join in Secret Easter 2016. Jane Hurst was pleased to report that the total raised in 2015 by sales of her photocards and handmade cards was an amazing £606.22. (£175 of this – 50% of photocard sales will go to The 25% ME Group). Making cards is becoming increasingly difficult for Jane (vertigo, ever-present severe gut pain & other nasty symptoms of severe ME) but she usually has enough for 2 sales at Budgens each year, and their local Farm Shop sell her Easter cards and Xmas cards. Both have been great – so supportive. Jane’s Mum, Dad and brother take the card sales in shifts and Jane gets to count the money up when they return! After a sale in February, O’Flynns Budgens of Poringland commented on our Facebook page, “We received alot of positive comments from our customers about the day and we’re looking forward to next one already”. How lovely! In training (ahem) for their Kilimanjaro Climb in March, Amanda & Richard hosted a wine tasting competition among 90 guests and raising an intoxicating £1470. Cheers everyone! Click here to see the excellent flyer they produced to help their sponsors to learn more about the illness they are so kindly supporting, and their fundraising page is here – https://www.justgiving.com/amandakayes/ Blog here. Kayleigh Kavanagh hopes to raise money for Invest in ME biomedical research funds by giving pieces of jewellery for specific amounts of donations (plus p&p) during May. She has created an event page for Facebook friends and will be setting up a page for donations nearer the time. 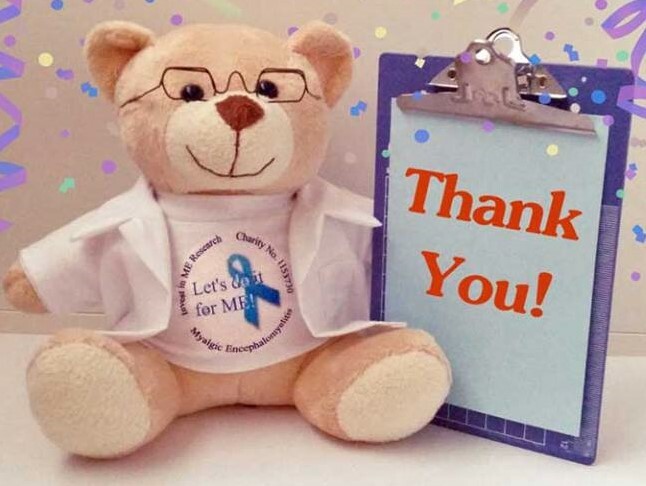 Latest totals for Invest in ME Research Funds ..
As ever, if we’ve missed anything, or if you would like us to highlight your event, write a guest blog, or have any questions, please contact us here, or find us on Facebook or Twitter. Well done everyone and thank you all so much for your support!